I’m always interested in trying out new stuff, especially when it’s related to payments. 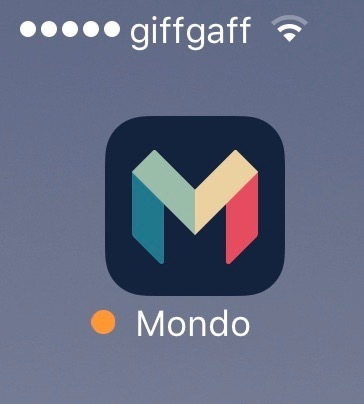 Earlier this year I jumped on the Mondo Alpha launch as I wanted to see just how different their payment experience would be. If the UK digital challenger banks want to make an impact they will have to do things very differently to the legacy banks. Being nice to customers is great but it isn’t going to change banking. I fully expected to use Mondo a bit, see how it worked and then go back to using my usual cards. 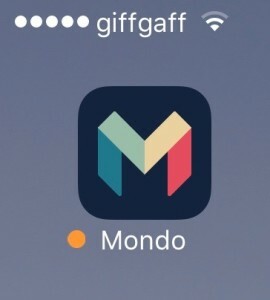 However, much to my amazement, I’m still using Mondo (and using it more than ever) four months later. Why has Mondo caught my imagination? They’re not a full bank yet, they only have one product, they don’t (yet) support Apple Pay. There are many aspects of the Mondo experience I love. On my recent trip to Copenhagen I used Mondo for all my DKK expenditure because Mondo doesn’t add the usual 2.75% ‘fee’ on non GBP transactions. However Mondo’s real stickiness for me is down to two factors – context and immediacy. 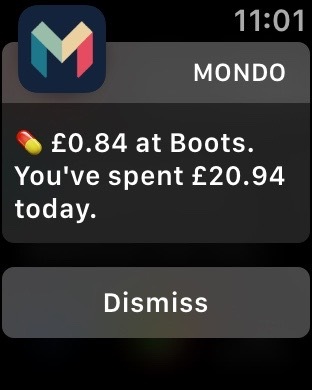 When I make a card payment – contactless, chip and PIN or online – I get instant notification of what I’ve spent and where on my Apple Watch via iOS notifications. This doesn’t sound revolutionary but how many payment providers do that for every transaction and include merchant, geolocation and category data when you view the transaction in an app? Consumers have been conditioned by the legacy banks not to expect immediate visibility or additional data for transactions. Apparently it’s acceptable to wait a couple of days for a payment to appear on your account! 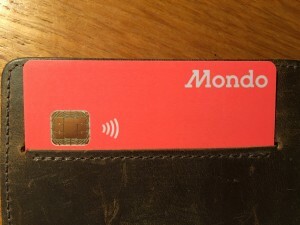 Mondo has turned that model on its head and despite the constraints of card scheme payment rails, manages to deliver a rich transaction experience to customers. Payments isn’t just about convenience, it’s about information and control and even in beta Mondo is delivering that to customers. Although the app is currently in alpha it works amazingly well. As soon as I make a purchase I receive a push notification on my iPhone or Apple Watch with confirmation of the transaction details. Over the past few days as I’ve used the app, additional features have been unlocked – a nice way to introduce the user to more functionality. Despite being an early release the app is considerably more engaging than legacy bank apps. 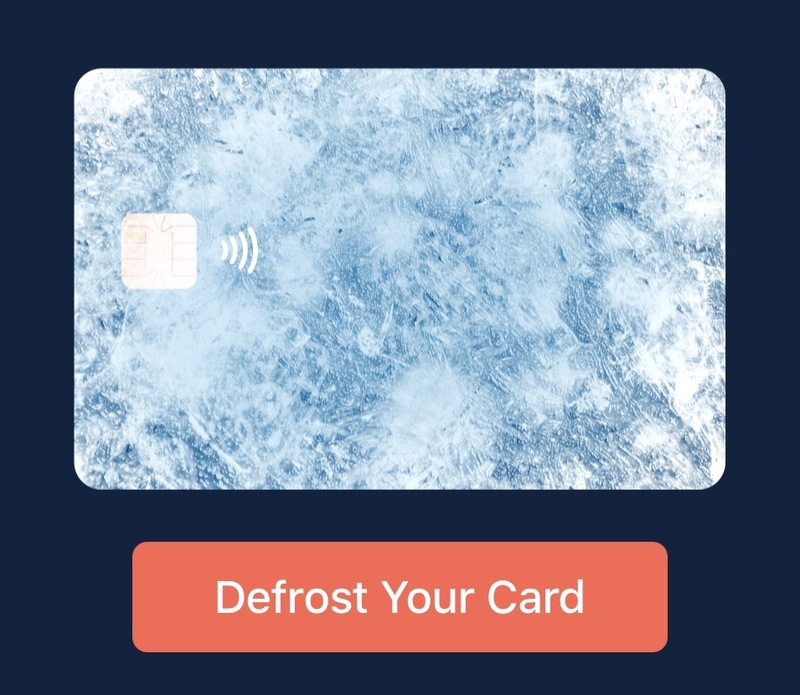 A neat feature is the ability to ‘freeze’ my card temporarily so it can’t be used; great for people who mislay their cards and then find them again. When I freeze my card the app image of the card is covered in ice and the button underneath offers to defrost it!